The client is an IT product and services company founded in 2004 by a team of software architects. The client, based out of Columbia, Maryland, United States has extensive expertise in building value to deliver innovative and problem-solving solutions to their global customers. As a software-centric organization, the client focuses on solving complex and mission-critical problems and helping their customers reap enormous benefits leading to faster, better and more cost-effective software and process. Helping their customers realize their business objectives, the client provides on-time and on budget solutions. The client uses designs that are based on COTS and GOTS to add value to existing systems. The client wanted a research partner to assist them in running a set of surveys on industry-specific information. 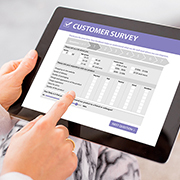 They needed information on survey hosting and database generation on several respondents (approximately 200), primarily from U.S. East Coast and West Coast. They required financial information on human resources deployed in those specific places, which involved household income of employed personnel within select age groups. The challenges involved in this project were getting valid phone numbers and additional time taken for telephonic interviews to gather information. Outsource2india has helped numerous clients with online and telephonic surveys. The client sent us a list of questions on which we were tasked to gather required information. Our skilled team broke those questions down to further filter valid data. Once the client approved our questionnaire, an exhaustive list of contact information was readied and the survey was carried out within a stipulated timeline. The survey had 18 objective questions and it was further broken down into gender-specific databases. We prepared the report in MS Excel as required by the client. We used our secured servers to host the survey and prepared databases matching the terms in the SLA to satisfy the client. The client was exceedingly happy with the report provided by our team. The results of the survey included high-quality household income information that helped them to deliver services to people of certain age bracket within US East Coast and West Coast. Outsource2india's 20 years of experience in delivering top-quality data entry survey services have helped in creating, conducting and hosting customized market research surveys that aid in collecting specified and accurate information in an affordable manner. We help you gather information on growing markets, evolving customer requirements, changing technologies, potential competition, etc. 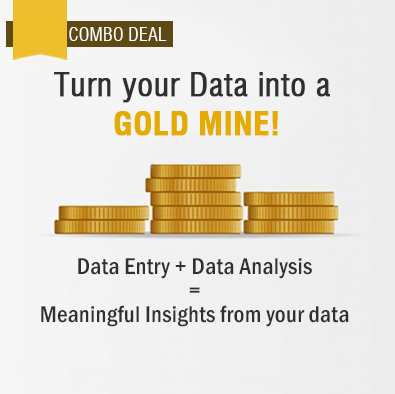 so that you can leverage our expertise to further filter and authenticate the data for use. As a global leader in conducting customized surveys, we use all the leading survey methods and research process for better and faster information collection and database creation. We also deliver other related services such as questionnaires data entry services, company reports data entry services, and more. Contact us today for your research and survey related requirements and let our team help you to harness the power of data for improving your bottom line.